Hey, I just got home and all my little darlings are safe and happy. Thanks so much for the amazing care you gave my pets and home!!! I will definitely be using your services in the future! Thank you Michelle, for the fine job you did looking after my little “girl.” Both “Betty” and “Fluffy” seemed pefectly content & fed when I came in the door. I’ll certainly recommend you to friends. For years, leaving our fur babies in boarding facilities or with “friends” caring for them was hard on them and costly for us. Ever since using the services of pet sitters, we have been able to travel with no worries from home. In September of 2010, my husband and I went on a 15 day long-needed vacation to Alaska. Due to the length of time we were going to be gone, we hired Michelle to stay at our home while we were gone. That way our fur babies did not have to be crated any more than usual. There were days at a time that we could not even check on them and I had the well being knowing they were being taken care of by a loving, caring individual, who would put them first while we were away. When we arrived home, our guys greeted us at the door just like when we come home from work and settled right into their normal routine. I hate to say I do not think they even missed us, but I do believe that is the case. They all love Michelle and are overly excited whenever they see her. I have used Michelle’s services many, many times since returning from our Alaska vacation, and have found her to be more than reliable and a pleasure to work with. I would recommend Michelle to anyone that cares about their pet and wants them to have a stress-free time when you are away from home. Thanks Michelle for taking such wonderful care of my kids while we were out of town. They were all very well cared for and happy. Thanks for keeping me posted on what was going on with them. I loved the text messages from you. I will be using your services again when I go out of town. It is nice to not worry about your… dog kids while you are away. I will recommend you. During a time of need you were there and words of thanks could never be enough to express all you had done for me and Runt and Lilly. Without you I would of had to give them up. Thanks so much for the great care and love you had shown them. I raise Chihuahuas and we planned not to breed this time around, so my male needed to board. I called Michelle and she arrived at my house, picked him up and away he went. Michelle called me daily on his condition even noticing how he was a little thin after his bath. She made a few suggestions after we spoke about Dog Food. She is very up to date on her knowledgte of pet foods and what my animal needed to maintain a healthy weight. Michelle’s prices were very reasonable. She did everything she agreed to and beyond. She truly cares about your pet’s well being. I would, and do recommend Michelle for anyone with pets. Bless you Michelle and Thank you for your care with Mojo. Thanks so much for the amazing care you gave Wall-E and Gizmo while we were gone!!! I hope to be using your services in the future. All our animals were well taken care of, both dogs and what started as seven sugar gliders and ended with nine sugar gliders. Very pleased with your service and will definitely use it again in the future!!! Thank you for giving us peace of mind while we were gone, knowing our fur babies were taken care of! 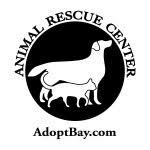 We proudly support the Animal Rescue Center of Bay County!